From a young age Dr. Baspaly was exposed to natural medicine and its therapeutic effects which instilled a lifelong passion for Naturopathic medicine. Dr. Baspaly strongly believes in the innate healing power of the body and emphasizes this in her patient care. This goes in line with the Naturopathic principles of doctor as teacher, treat the whole person and focus on the cause of disease and the healing power of nature. Dr. Baspaly focuses on developing an individual treatment plan for each person that is specific to the patients needs and long term health. Patients have improved awareness of there mind and body and are in turn empowered in there own care. She believes in the integration of both conventional and complementary medicines for a more comprehensive approach to health care. Dr. Baspaly enjoys the scientific and investigative part of being a Naturopathic Doctor but also believe in the power of intuition and treating the patient as a whole considering physical, mental, emotional and spiritual aspects. 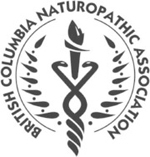 Dr. Baspaly completed her Naturopathic education at the Boucher Institute of Naturopathic Medicine in New Westminster. Prior to that she completed her Bachelor of Business Administration focusing on Entrepreneurial Leadership. Her business training assisted in developing her skills in coaching and goal setting which she utilizes in her patient care. Dr. Baspaly also spent three years completing her Yoga instructors training where she learned the importance of being present in the moment, self awareness both mentally and physically and the importance of compassion for self and others. During her ND training Dr. Baspaly did further training in the Bowen technique which is a remedial body technique that triggers the body’s own healing. Over the last few years Dr. Baspaly has also trained in Cranialsacral Therapy, Visceral Manipulation, Constitutional Facial Rejuvenation Acupuncture and Total Body Modification. Dr. Baspaly has made a lifelong commitment to learning and is excited to bring that into her practice offering the most up to date knowledge and skill in her patient care. The most recent courses focusing on weight loss techniques and detoxification. Dr. Baspaly resides in Anmore, BC and enjoys the west coast lifestyle with her husband and two boys. She enjoys yoga, meditation, hiking, biking, Zumba, Barre Fitness and beach days. Dr. Baspaly loves forest walks and watching nature’s lifecycles and continuous change. She has completed all the provincial requirements for prescriptive authority in BC. 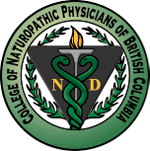 Dr. Baspaly is licensed by the College of Naturopathic Physicians of B.C. 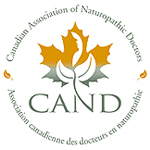 (CNPBC) and is a member of the British Columbia Naturopathic Association (BCNA) and the Canadian Association of Naturopathic Medicine (CAND). Copyright © Anmore Health & Wellness | Port Moody Naturopathic Clinic, 2014. All Rights Reserved.